Acton, Mass.- On Saturday, seven members of CM’s speech and debate team earned individual State Championships, and the team finished in second-place out of 54 teams at the Massachusetts Speech & Debate League’s State Tournament. In addition to the seven State Champions, 18 other members of the team placed in their respective categories. This year’s finish follows back-to-back state titles. This three-year span has solidified CM’s reputation as one of the premiere speech and debate programs in the state. Ben Chipman (Children’s Literature), Luke Esposito and Ben Kimball (Duo), Dylan Jenkins (Radio), James Julian (Declamation), Michael McCarthy (Extemp), and Brendan Ryan (Novice Reading) were all crowned State Champions. “In terms of winning, I’m not going to lie, it was unexpected, but it felt good. There was a lot of congratulations from my teammates. I can’t describe the rush of hearing I got first place,” said senior Dylan Jenkins on his first-place finish. "I couldn't be prouder of the guys on this team. Even though we finished second in the state, we accumulated more points this year at the state tournament than ever in CM history. I am especially proud of the underclassmen that stepped up and won individual state titles. It's encouraging to see these young guys rise to the occasion with poise and class,” said senior Brendan Julian, one of the team’s captains. CM’s multiple team earned an impressive third-place finish. The team had to overcome a substitution when one of its regular members was unable to perform. Senior captain Jacob Azzi stepped in to perform in his place and turned in a great performance with only a week of practice. “I was very proud of the outcome because we worked very hard, especially after finding out the week of that one of our members wasn’t able to perform. So, it was nice to see that, after all the hard work, the result came out well. We worked really hard to do the best we could without him,” said Marcus Gadsden, a junior and one of the four members of the multiple team. Saturday’s state championship capped off another extraordinary year for the team. Over the course of the season, the team turned in impressive performances at some of the most competitive tournaments in the state and country. 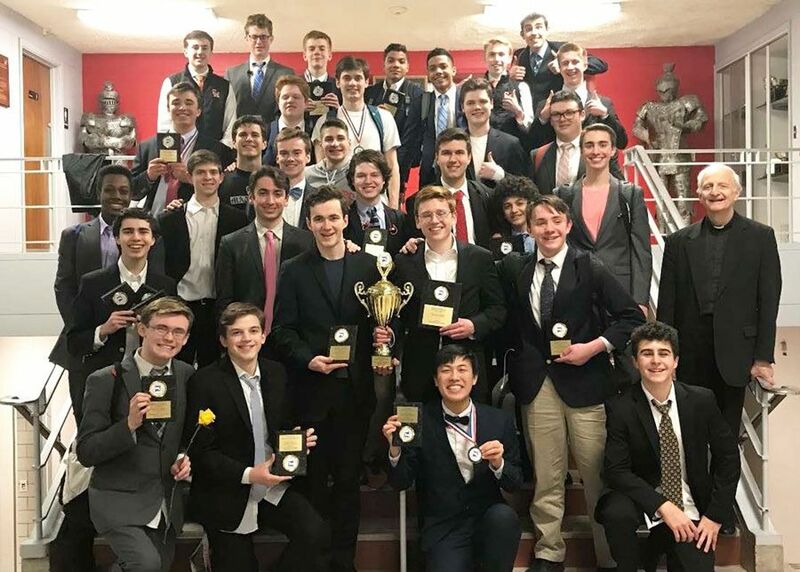 CM placed first among 41 teams at Needham High School’s March Merryness tournament and also won the Dighton-Rehoboth and Newton South tournaments. As a team, they finished second at Lincoln-Sudbury’s tournament and Natick High School’s Holly Festival. 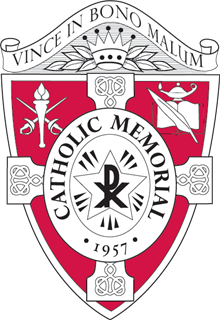 In addition, 12 students qualified for the National Catholic Speech Tournament to be held in Milwaukee in May and five qualified for the National Speech & Debate Association’s national tournament to be held in Dallas in June. “I am very proud of all of our students on the team. As I look back on the year, I realized that it was a great year full of happy moments and memories I will remember as I grow older. It was an honor to be the captain and can’t wait to see how the team does next year,” said Jacob Azzi. "It's been an honor to lead these boys this year. It's honestly been a privilege. But this season isn't over quite yet. We still have some work to do at nationals. And we are hopeful that we will make history for CM," added Julian.